Back in 2012, I joined All Nine Muses (www.allninemuses.wordpress.com) and was delighted to write alongside some of the brightest, most creative minds I know. Holly Ordway was one of those writers. 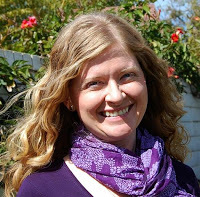 Last year, while presenting at a conference at HBU, I got to spend some time with Holly and chat about writing and spirituality. I still refer to the wisdom and guidance she offered in those conversations. Her conversion to Christianity is one of the most intriguing I have ever heard. 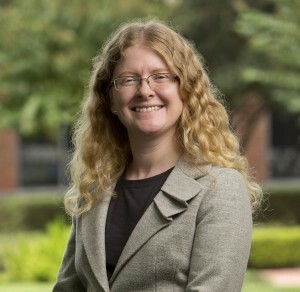 Holly was a former atheist who came to Christ after weighing heavy considerations, doing intensive reading and research, and discussing theology with her fencing coach. October 7th was the release date for the second edition of her spiritual memoir, Not God’s Type: An Atheist Academic Lays Down Her Arms. Yesterday, she was featured on the show Fox and Friends. 1. Not God’s Type is a memoir about your religious conversion. At what point in your spiritual journey did you decide to write it? Surprisingly, there were two different points in my journey when I wrote this book! I wrote the first version of Not God’s Type only two years after I became a Christian in 2006, though it wasn’t published until 2010. I had found, in conversation with Christians, that many were both surprised and encouraged to hear my unlikely conversion story, and so I realized that it would be doing a service to tell it at greater length. Then, in 2013, I had the opportunity that few authors have – to re-visit an already published book and improve it! It had been taken up by a new publisher, Ignatius Press, which gave me the opportunity to include in the book the fruits of several more years of reflection on my journey to faith, as well as to continue my story through my further growth as a Christian, leading to being received into full communion with the Catholic Church in 2012. 2. This is actually the second edition. What changes have you made from the previous edition? 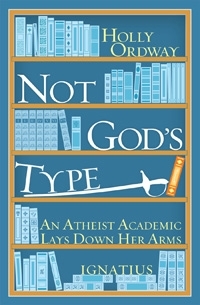 The new edition of Not God’s Type, which has the subtitle An Atheist Academic Lays Down Her Arms, is significantly revised and expanded. It’s almost twice as long, for one thing: I include much more on my experiences as a child and young adult, showing both the roots of my atheism and the way that some early experiences of God’s grace (not recognized as such!) planted seeds for the future. I also include more material on my discipleship as a Christian, and several chapters on my conversion to Catholicism. It’s also much more polished in terms of writing. The first version was good; the second is better! I was able to fine-tune the book at the word and sentence level, to really make it sing. I think that the second edition will particularly delight literary-minded readers! I explore in-depth the way that authors such as C.S. Lewis, J.R.R. Tolkien, and Gerard Manley Hopkins had a profound effect on my life. Careful readers will also discover that the epigraphs for the book are all carefully chosen – each relates to the theme of the book or of the individual chapter, illuminating the chapter in an indirect way, and as a whole, providing a literary ‘narrative arc’ to accompany the story. 3. A major part of your narrative discusses the influence of your fencing coach which also serves as a nice metaphor throughout the book. Can you expand on this and how fencing has surprisingly played a role in your conversion? When I finally became ready to ask questions about what Christians really believe, my fencing coach was the person I turned to for answers. He had already confounded my stereotypes of Christians by being patient, thoughtful, and non-pushy; I realized that I could rely on him to discuss these challenging topics with me, and not try to bully me into accepting Jesus! The conversations that we had and the books that he recommended for me to read were extremely important. Just as in a fencing lesson or bout, he challenged me to think clearly and provided a sparring partner as we discussed the ideas, but (also as in a fencing bout) he was respectful of me, allowing me time to process these new ideas at my own pace. 4. One of the aspects I love about Not God’s Type is the pragmatic approach you take to exploring faith. You read several books and made lists about your hesitations concerning religious beliefs. What were some of the main works you read and do they still influence you? Some of the books that I read that were particularly helpful in addressing the philosophical and evidential questions were Does God Exist? by J.P. Moreland and Kai Nielsen; In Defense of Miracles, edited by Doug Geivett and Gary Habermas; and The Resurrection of the Son of God by N.T. Wright. These (among other books) were important in providing the evidence and arguments that convinced me that the Christian claim is true. C.S. Lewis’s writings both influenced me at the time, and have continued to do so! Mere Christianity played a pivotal role in showing me the moral argument for the existence of God. The Great Divorce shattered my misconceptions about Hell and gave me a vivid picture of what Heaven really means. The essays in God in the Dock gave me a deeper insight into the concept of miracles, and gave me a glimpse of a rich, intellectually robust Christian faith. And, as I write about in Not God’s Type, the Chronicles of Narnia helped me understand who Jesus is. Lewis is such a great thinker and writer that all these books (and so many more of his books that I’ve read since then) continue to influence, inform, and delight me! 5. Like C.S. Lewis, you still had to discover your personal beliefs once you accepted the tenets of the Christian faith. You eventually confirmed as a Catholic. Tell me more about that experience. I became a Christian as a ‘mere Christian,’ not knowing much about different traditions, and began worshipping at an Episcopal church in the Anglo-Catholic style. I also did a second Master’s degree in Christian Apologetics at a Protestant university – which had a significant impact on my becoming Catholic! In my classes, when we were presented with the Protestant perspective on doctrine, I was curious to find out what other traditions had to say, so I read up on Catholic and Orthodox views on each issue. Time and again, I found that the Catholic view made the most sense. I was also increasingly impressed with the Catholic Church’s witness on pro-life issues and sexual ethics. To make a long story short, I found myself moving closer and closer to Rome… and eventually (because circumstances had forced me to reflect more deeply) realizing that I had come to believe that the Catholic claim to authority is true. My reception into the Catholic Church was thus not a rejection of my Anglican faith, but the completion of it – finding the fullness of the faith. It is by far the best thing I’ve ever done. 6. Explain in more detail about the importance of cultural and imaginative apologetics? Our modern culture has tended to separate the imagination and the reason, with imagination ending up as a ‘nice extra’ at best, completely dismissed at worst. Christian apologists often implicitly accept this false separation, and make apologetics arguments aimed only at the intellect, or appeals to faith aimed only at the emotions. We need to speak to the whole person, because conversion involves the whole person. We need an integrated approach to apologetics, one that includes rational argument, personal witness, and imaginative engagement. Literature and the arts have a special and very important role in showing people a glimpse of the way Christian faith integrates beauty and truth. We need to help people see why our arguments for the truth of the faith are meaningful – so that they are interested in asking questions and willing to listen to our answers. 7. Holly, you are currently working as the Director of the M.A. of Cultural Apologetics at HBU? Can you tell me a little more about that program? The MA in Cultural Apologetics is a very exciting program! We offer both a fully online and a residential option for the degree, so you can study in Houston or anywhere in the world! The degree focuses specifically on cultural apologetics, with an interdisciplinary approach including history, culture, philosophy, theology, literature, and the arts. We hope to equip students to understand our culture at a deep level, so as to be able to address the root problems (not just the symptoms), to make a case for Christianity that is effective and compelling for people today, and to be able to be creative as well. In addition to apologists, teachers, and ministry leaders, we are teaching future musicians, creative writers, artists, and filmmakers! Another great aspect of the MAA is that it’s ‘mere Christian.’ We have Protestant, Catholic, and Orthodox faculty, and Protestant, Catholic, and Orthodox students! We are committed to working together for the good of the Kingdom. I love teaching in this program. We cap all our classes at 15 students (both online and in Houston), and we never use TAs, so there’s a lot of student-faculty interaction. We also assign lots of reading and writing – it’s an intellectually exciting program! Anyone who’s interested in learning more can visit HBU’s website for details: hbu.edu/maa and hbu.edu/maaonline. People should also feel free to be in touch with me if they have questions. 8. What advice would you give to young intellectuals who are struggling with the choice to accept belief? First, seek the truth – don’t be afraid to ask questions, to keep asking questions, and to seek out answers to those questions. Christian faith is not a math problem or a logic puzzle; it is the invitation to a relationship with a Person. As with any relationship, from friend to spouse to colleague, it will usually have small beginnings, even doubt-filled beginnings, and can grow from there. Finally, I would say: you are a whole person, with emotions and a body as well as an intellect. Attend church services, in different traditions. Go to a Catholic Mass, especially at a traditional-style liturgy in a big, beautiful church or cathedral, and see how worship can involve all the senses. Explore the Christian faith through reading and study and asking questions, but also through the witness of great writers, musicians, and artists, who can show you the faith in a different way. 9. What works would you suggest for those who are struggling with faith? Would you recommend some of the books you read? What others would you add to this list? C.S. Lewis is a great place to start! For millions of people, Lewis has been able to explain the essentials of the Christian faith in a way that’s accessible and intellectually robust. 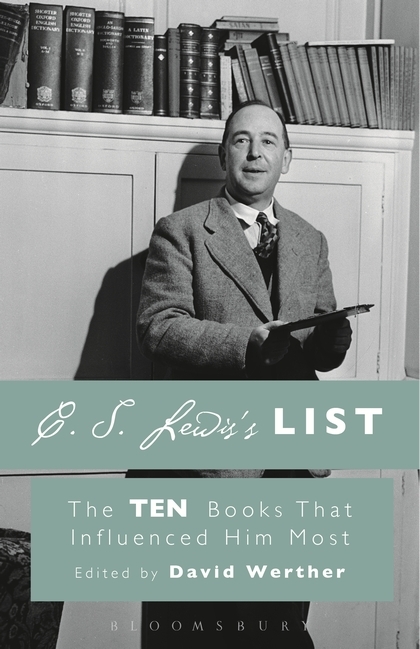 Mere Christianity and The Screwtape Letters are high on my list of recommendations. For readers who want a slightly more modern author, N.T. Wright’s books for a popular audience are excellent. I particularly recommend his “For Everyone” series of Bible translations and commentaries. Different people have different questions, though, and the books I’ve mentioned here may not address their particular concerns. As a great all-round resource, I highly recommend Fr. Robert Barron’s Word on Fire ministry and his YouTube videos: http://www.wordonfire.org Fr. Barron has a tremendous gift for communication, as well as a heart truly on fire for Jesus. 10. What speaking engagements and interviews do you have coming up? To order Holly’s book, you can order from her publisher Ignatius Press and Amazon, among others.